THE ART OF SELLING REAL ESTATE Regardless of market conditions, some homeowners feel their best course of action is selling their home privately. Just think of all the commission you’d save; right? WRONG. If you’ve made it this far into our website, we’re sure you already know the scope of work and knowledge required to sell something as personal and valuable as your home. 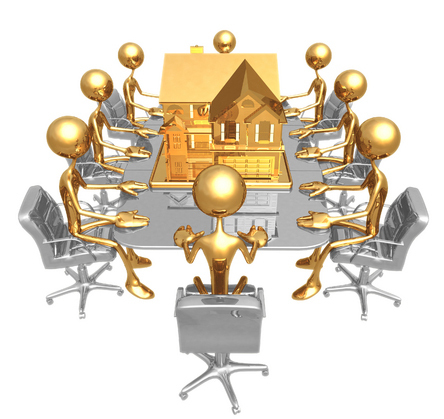 *Are you aware of all the liabilities of selling real estate? *Are you familiar with the terms and conditions needed to protect yourself in a contract of purchase and sale? *Which negotiation approach will help you get your best price? *How will you accurately position your home in a changing market? *How do you intend to design an aggressive sales program just right for you? *How will you promote and maximize the exposure of your property? *How will you ever have time to do all of this? Below are some links to useful Goldilocks Estates advice for sellers requiring assist-ance with marketing a home or property in Kelowna or elsewhere in the Okanagan. Also, please keep in mind that if you require assistance selling or purchasing a home abroad, please ask us to connect you with one of our pre-screened agents. No matter where you are going, or where you are coming from, we will ensure that you always receive a mean-ingful service and peace of mind at the end of every transaction. We offer the knowledge and guidance you need. The majority of Canadians agree with this statement, as 82% of all real estate transactions result from the work of a licensed REALTOR®. There are also studies that indicate that agent-assisted homes have, on average, sold 33% higher than homes sold privately. 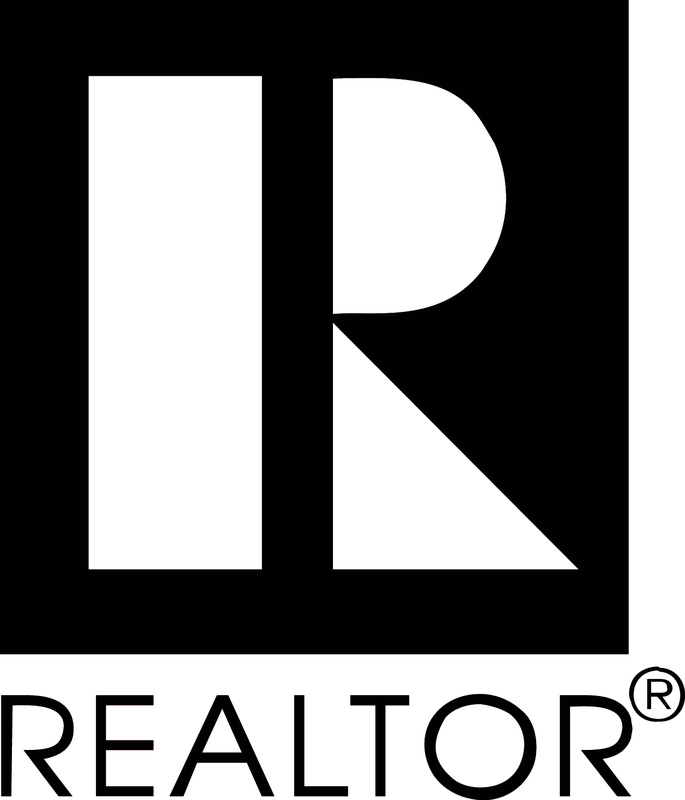 Realtors® live, eat and breathe real estate, seven days a week, 24 hours a day. We are marketing gurus who possess the knowledge and skills necessary to get the job done right and with a higher success rate than a for-sale-by-owner. Whether we find a buyer from our Goldilocks Estates database or promote your home to the other 1,000 co-operative Okanagan REALTORS®, the exposure of your property will outperform any for-sale-by-owner or discount brokerage website. When you contract a REALTOR® who is licensed with an international real estate company, like Coldwell Banker, you will also improve your property’s exposure, attract multiple buyers and of course increase your odds of selling fewer days on the market. Choosing a hardworking REALTOR® is equally as important as listing with a widely recognized and reputable real estate firm. If you are selling privately and your property remains on the market for several months, it’s likely you’ll not only loose out on a motivated buyer, but also loose out on the commission you were hoping to originally save yourself. Time is of the essence and there is little room for error in a buyer’s market. With fewer showings and a higher supply of listed inventory, presentation and an attractive price are vital, especially in your first month of the listing. If your listed price is considered appropriate, you will immediately and consistently attract attention and generate activity. Before setting your asking price, you must be educated about the market. We will ensure you know the comparables in your neighborhood as well as the statistics regarding trends or successful marketing programs. With this educational platform we intend to work with you and correctly position your home in a highly competitive market. A sale will always occur if the asking price is realistic and the home is marketed effectively. But remember, your house cannot sell for more than the BEST OFFER OBTAINABLE from the BEST BUYER AVAILABLE in the current market. If you would consider yourself a motivated seller, don’t leave the sale of your property to luck. Contact Goldilocks Estates to act as your right hand, coordinating all necessary activities to help you get to where you need to be within a reasonable amount of time and with fewer qualms. Why Goldilocks Estates & Why Coldwell Banker? 1.) With a tremendous amount of information available to buyers via the Internet, Goldilocks Estates’ primary objective is to offer their sellers one of the top optimized real estate websites in Kelowna and the rest of the Okanagan. Optimization means that your website is easily found. We recognize that by broadening our scope of buyers via the Internet, we will be more effective in marketing your property to local buyers as well as attracting those abroad who are considering a vacation purchase or relocating to our beautiful Okanagan region. Having a cutting edge yet user-friendly website is a dire must in this industry. A large majority of buyers start their research online, even before they contact a REALTOR®. It’s through this portal that we intend to attract a wider demographic of clientele. If we were to solely rely on the Canadian real estate website, MLS.ca and Realtor.ca we would not be providing you with the exposure your home deserves. Be sure to vist our Goldilocks' YouTube Channel, as well as Coldwell Banker's! We've gone YouTube crazy and the two channels combined are receiving over 400,000 visits a day! 2.) Beyond the Internet, we realize there are still a percentage of buyers who inquire from more traditional marketing material. The second most successful medium for incoming inquiries are off the for-sale-signs and marketing activities executed by your listing REALTOR®. Catered open houses, REALTOR® tours, direct mailers, event hosting and interior design improvements are only a few of the services we intend to offer you as your listing REALTOR®. 3.) Before we design a custom sales program for each client, we always define our target market. For Instance, a small, chic, inexpensive downtown loft is likely to attract the young professionals and first time homebuyers. Marketing to tenants and downtown employees in this area would be our primary focus to attract a motivated buyer. In addition to using the Okanagan multiple listing system, defining the target market will assist us with becoming more productive in marketing your home. 4.) Within the term of our multiple listing contract, Goldilocks Estates will provide continuous updates of new listings and sold properties in your area. As the Okanagan or Kelowna real estate market evolves, our sellers will always be educated on current changes before making an informed decision to accept an offer, reduce the price or cancel a listing contract. 5.) Clear lines of communication are our strong suit. We will advise you, educate you, but most importantly respect your decisions and privacy. We realize that a successful sale will not result until the demands of the market match the needs of the seller. We are prudent professionals, who will always act with your best interest at heart. Don't forget that by listing your Okanagan property with Goldilocks Estates you will also hold the competitive edge on the real estate market through use of all the marketing tools available through Coldwell Banker. Goldilocks Estates has selected Coldwell Banker Horizon Realty as their licensed Okanagan real estate brokerage for a number of reasons. We recommend you watch the video to better understand the tools that will be available to you if you select Goldilocks Estates as your Kelowna Coldwell Banker real estate agent. If you’re ready to sell your investment property, condo or house, give us a call. By evaluating several criteria, including regional markets, time of year, features of your home, as well as your specific needs as the seller, we can create a customized marketing plan just right for you. 1) Best Time of Year to Sell The specifics of your area will help us determine the best time to put your home on the market. While the conventional wisdom is that spring is the best time for selling a home, this belief simply doesn’t ring true in every locale. In recent years the historic patterns have eased, and in some cases, totally disappeared. Still, different parts of the country have periods when sellers can be more aggressive with their pricing. There may be a distinct timing strategy for your sale, especially if your property is considered a resort destination. 2) Open House Strategy and How to De-Clutter A home that shows well will sell faster and bring a higher price. Small cosmetic touch-ups can make a big difference. Buyers often suspect that more serious problems may exist if they notice the need for minor repairs. If you want to sell your home, it’s important to make sure your place is clean, tidy and free of personal clutter. Clear sinks, counters with dishes and toiletries. Neatly stack office supplies and organize storage areas. Replace dim light bulbs and clean windows. Even though your garden area may be commonly owned, do your best to create curb appeal by cleaning front steps and porches, and clearing your yard of toys and garden equipment. If you’re not up for this challenge, perhaps you should consider hiring a professional stager. 3) Features to Accentuate One of the best features to accentuate when selling a home is the lifestyle of ease that comes with ownership. Many buyers are looking for the hassle-free living experience, especially when it’s a buyer considering a condo or town home purchase. In this case, complex amenities, such as a hot tub, security features, fitness center, owner’s lounge, underground parking and even concierge services become important. If you’re considering selling your condo, take the time to walk us through the whole building. Location, views and interior finishings need to be discussed. This methodically approach will help us accentuate the most desirable features within our sales and marketing materials. 4) Desired Price and Bottom Line Price When setting your asking price, it’s important to identify your desired price and your bottom line price. By assessing recent sales and listing statistics in your area, we or a licensed appraiser can estimate your house value and recommend an appropriate target price range. 5) Disclosures When selling, you are obligated to disclose problems that could affect your property’s value or use of enjoyment. The only sellers that are excused from this responsibility are owners that have never taken occupancy of their property. If they have never lived there, they are unable to disclose any defects or nuisances affecting the property. A strata owner selling a condo or townhome should also note that in addition to providing a property disclosure statement, we will also require a package from your strata management company containing a recent copy of your bylaws and regulations, a financial statement, insurance policy and the last 2 years of minutes recorded by your strata council. This information is necessary to determine if any work is needed in the common areas of your building. If further work is needed and a special levy will be required from a new owner, a buyer may be reluctant to proceed with a purchase. Going these documents is typically after a conditional accepted offer has been reached and the buyer has a chance to review this information with a lawyer before removing their subjects. When selling your home, it’s likely that your primary focus is receiving the highest price possible for your property. And while this is certainly an important factor, there are other details that must be considered when you receive an official offer on your home in the form of a contract of purchase and sale. Negotiating this wordy and legally binding document can seem daunting, but understanding the information contained in this contract will save you time, money and heartache during the process of selling your home. The contract of purchase and sale, is an agreement between a buyer and a seller to purchase real estate. Your first encounter with a particular purchase contract will be in the form of an offer from a potential buyer. After reviewing the offer, you have three options: to accept the terms of the offer, thus entering into a contract; to change the terms of the offer in a counter-offer; or simply reject the offer. After considering the price offered by the buyer, savvy sellers will then determine if the contract contains any conditions. One common possibility is that the offer to purchase your property is contingent on the sale of the buyer’s home. If the buyers' property sells, the sale goes through. But, if it does not sell, and the seller is not prepared to extend the date permitted for the buyer’s to sell their home, the sale collapses and the buyers' deposit is usually returned. There are ways to structure a contingent sale offer to make it less risky for sellers. One way is to include a time clause in the contract, which allows sellers to continue marketing their home in the hopes of finding a better offer. If such an offer comes along, the sellers notify the buyers that they must remove the conditions by a certain date and show that they are able to close. Otherwise, they must withdraw from the contract. The sellers are then free to proceed with another offer. Another red flag to watch for is a request by the buyer for excessive time to secure financing. This is a reality for many first-time home buyers or even veteran buyers whose credit is spread thin. If you’re not comfortable with the extended time frame, you can request that the buyer provide you with proof of loan application and/or a letter of loan qualification by a certain date. A well-priced offer can also seem less appealing if the seller offers a low earnest money deposit or asks you to pay the closing costs. Feel free to counter any elements of the offer that don’t sit well with you. And, don’t forget to take note of your requirements in the offer. Some buyers will include a clause that penalizes sellers who don’t move from the property by a specific date. Be confident that you can vacate your home by the date requested before accepting the offer. On the other hand, you may want the closing process to move swiftly. Even if the offered price is less than you wanted, a buyer who can close and take possession quickly can counterbalance the lower price. It is generally accepted that all attached fixtures and appliances will be sold with your home, but the buyer must list these carefully in the offer to purchase. Such appliances and fixtures can include ovens and dishwashers, window treatments, light fixtures, fireplace mantels and even landscaping features like trees and flowers. Additionally, buyers can request the inclusion of certain furnishings and personal property. If you have items that you do not wish to include when selling your home—whether the washer/dryer, a heirloom rosebush, or all your furniture—it’s a good idea to let your real estate agent know from the get-go, so he or she can help mitigate the expectations of buyers. The bottom line? It pays to spend 20 minutes reviewing a blank real estate purchase contract as soon as you put your house on the market. That way, when you receive an offer, you’ll be ready to break it down into its specifics, and respond confidently. To help prepare you for a listing presentation or incoming offer, we have uploaded the standard listing and sale documents created by the BCREA (British Columbia Real Estate Association) for all residential sales in Kelowna and surrounding Okanagan areas. Please keep in mind that when it comes to dealing with you personally, the terms and conditions inserted in a contract will vary; however, reading the standard clauses beforehand will help you better understand what is expected of you under contract as well as what you should expect from your Realtor[R]. 1.) Working with a Realtor[R] Although this is not a binding document, Goldilocks Estates must address real estate agency with every seller. As your listing agent we will soley represent you under an agency relationship; but, should we also represent your buyer, the status of an agency replationship would change to a limited dual relationship, if both parties provide written consent. In this case the terms of the business realtionship change. In addition to agency, the Privacy Act as well as the client’s responsibilites are also defined within this document. 2.) Multiple Listing Contract OR Exclusive Listing Contract The major difference between the two listing contracts above, is that the exclusive listing contract is used if a seller does not want his property listed on the multiple listing system: MLS & Realtor.ca. Within these listing documents, we address the process of marketing a home as well as the terms of our business realtionship and cost of successful selling your home as your Realtor[R]. More times than not, our clients ask us what our standard commission rate is in the Okanagan, but what they often don’t know, is that there is no ‘set’ real estate commission anywhere in Canada. As an independent contractor, it is against the Competition Act, to state that we have a standard commission rate. This is why you will see a blank line on the standard listing contracts. 3.) Residential Property Disclosure Statement OR Strata Property Disclosure Statement These documents are used to retrieve additional information from you regarding your property. If you have never occupied the premise, you are not required to initial the boxes, however, we still get you to sign and acknowledge that you have received this document from your listing Realtor[R]. The property disclosure statement [PDS] proves helpful at negotiation time and in most cases is included as one of the buyer’s conditions to remove before the contract of purchase and sale is considered unconditionally accepted. 4.) Fintrac Form Since the summer of 2008, the Canadian Real Estate Association requires an additional piece of photo Id to confirm your identity. A photocopy of your driver’s license or passport will suffice. If you are purchasing from out of town and we are unable to verify your identity, you are required to have another licensed real estate professional sign on our behalf. This new procedure is intended to reduce mortgage fraud, money laundering and identification theft in the Canadian Real Estate Market. If you have any concerns regarding this matter, we encourage you to visit the Fintrac website. When an offer is ready it will be presented in the form of a Standard Contract of Purchase and Sale. Please read ask to review this document beforehand. There’s no such thing as being too prepared! BEWARE THE PERILS OF SELLING A HOME YOURSELF By Douglas A. Gray, LL.B When the time comes to sell your home, you may be tempted to sell it yourself. There is primarily only one reason for doing so, and that is saving on a real estate commission. The only other motivation could be a personal challenge or learning experience, but basically the desire to save money is the main motivator. You may indeed save money. On the other hand, the saving could be an expensive illusion. Based on my personal and professional experience and observation, there are some general disadvantages of selling a home yourself, as opposed to using a carefully selected and experienced REALTOR®. The following remarks are not intended to dissuade you from attempting to sell your own home, but to place the process in realistic perspective. The comments apply whether you are selling your own home or an investment property. In the end, you will have to balance the benefits and disadvantages of course, and decide what is best for you. INEXPERIENCE If you don't know all the steps involved, from the pre-sale procedures and strategies to completing the deal and receiving the money, you could and probably would make mistakes that could be costly to you. EMOTIONAL ROLLER COASTER Many people, especially with their own home, tend to get emotionally involved in the sale process because of the direct interaction with the prospective purchasers. For example, frustration can be experienced due to rejection of the house, negative comments or fault-finding, people whose personality you don't like, or people who negotiate toughly on the price. These one-on-one direct dynamics or comments can sometimes be taken personally, and therefore be a cause of stress. TIME COMMITMENT You have to have open houses as well as show your property at times that may not necessarily be convenient to you. In addition, you are going to be spending time preparing the ad copy and staying at home to respond to telephone calls or people knocking on the door. ADVERTISING Costs include all the daily or weekly newspaper classified and/or box ads, as well as a lawn sign. You would pay for these yourself. In addition, you may not know what specific types of advertising would be appropriate for your type of property; how to write ad copy that would grab the attention of a reader and prospective purchaser; nor how to identify and emphasize the key selling features of your property. LIMITED EXPOSURE There are considerable differences in market exposure in terms of advertising by yourself and they types of advertising and promotion a REALTOR® could do for you. There is obviously a direct correlation between the nature and degree of market exposure and the end price. Clearly, limited market exposure means limited prospective buyers. LEGAL PROBLEMS The prospective purchaser may supply you with his own agreement of purchase and sale. This contract may have clauses and other terms in it that could be legally risky, unenforceable, unfair, or otherwise not beneficial to you. You may not recognize these potential problems or risks. In addition, you could end up agreeing to take back a mortgage (vendor-back mortgage) when it would not be necessary or wise, or to accept a long-term option or other legal arrangement that could be risky. LACK OF FAMILIARITY You may not have a clear or objective idea of exactly what a similar property in your market is selling for, or the state of the real estate market at that point in time. This can place you at a distinct disadvantage. For example, if you are being unrealistic in your pricing, along with limited advertising exposure, you could literally price yourself out of the market. Prospective purchasers may not even look, let alone make an offer. You may eventually sell your property, but only after several price reductions and after a long period of time. Naturally, of course, this depends on the market and the nature of your property. Conversely, you could have a property with unique features or potential that could justify a higher sale price than you might realize. NO PRE-SCREENING You would not generally know the art of pre-screening prospects in terms of questions to ask them over the phone. Then end result is that you could waste your time talking to people over the phone or showing them through the house, who are not and never will be serious prospects. You could also end up accepting an offer from someone who does not realistically have a chance of financing the house, or who asks for unrealistic time periods for removing purchaser conditions, which effectively would tie up your property during that time. OFFER PRICE You may think the offer is the best offer from that prospective purchaser, or any purchaser, and therefore may accept it. That price may not be the best price at all. You may have started too low or too high for your initial asking price, based on emotional needs, not reality; you may have received a "low-ball" offer from a prospective purchaser that was never intended to be accepted but was designed to reduce you expectations; you may be inexperienced in applying real estate negotiating skills; or you may be subjected to effective closing skills on the part of the prospective purchaser. LACK OF SKILLS This problem was referred to in the previous point. You may lack any negotiating or sales skills and feel very uncomfortable or anxious in a negotiating context. As a consequence, the price and terms you eventually settle for may not be as attractive as they otherwise could be. DISCOUNT It is not uncommon for the prospective purchaser to determine what the fair market value is and then ask to have an additional discount equal to the real estate commission you are saving. The primary reason why prospective purchasers are attracted to a "For Sale By Owner" is the prospect of getting a better deal than a property listed with a REALTOR®, due to the commission otherwise built into the sale price. The primary reason why you are selling the property yourself is to save the full amount of any commission otherwise payable. Hence the problem. A compromise may be possible whereby the price is further reduced by a percentage of the commission saved. Again, in practical terms, it is normally an illusion to think that you will save the full or even a substantial amount of the commission. Would you not have a lingering doubt that you could have netted more if it was listed with a TOP NOTCH REALTOR®? BUYER'S MARKET Buyers in this type of market are very price sensitive, negotiate toughly because they want the best deal, and have the time to be selective after comparing what is available in the market. You are at a disadvantage if you don't receive all the exposure possible and use all the negotiating and selling skills available. You could go down further by that time in a declining sale market, due to oversupply of homes, limited demand and reduced exposure. As you see, there are distinct advantages to utilizing the services and skills of a professionally trained and experienced REALTOR®. Of course, there are exceptions in certain situations where you may choose to sell yourself, but you have to be very aware of the potential disadvantages. The vast majority of homeowners and real estate investors realize the benefits of using a REALTOR® and do so, whether for buying or selling real estate. Douglas Gray, LL.B, is a Vancouver-based recently retired real estate lawyer and one of Canada's foremost authorities on real estate education. Douglas Gray is a speaker, nationally syndicated real estate columnist, and author of 12 best selling books, including Home Buying Made Easy; Mortgages Made Easy; Condo Buying Made Easy; and Making Money in Real Estate; published by McGraw-Hill Ryerson. Mr. Gray's syndicated column appears in the Vancouver Sun, Calgary Herald, Edmonton Journal, Windsor Star, Hamilton Spectator, Kitchener/Waterloo Record and Kingston Whig-Standard. This particular column was also carried in Canadian Realtor[R] News.